A Little Help from my Friends | Arts and Culture | Style Weekly - Richmond, VA local news, arts, and events. Richmond artists come together to help one of their own. 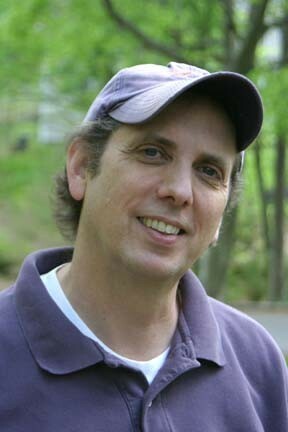 Richmond illustrator Kerry P. Talbott was diagnosed with brain cancer in 2010. He was without health insurance after being laid off from the Richmond Times-Dispatch a year before. Two years later, after surgery and treatment, Talbott is doing much better, but faces a mountain of medical bills. Some of his friends in the artist community have sketched out a plan to help. Ghost Print Gallery will hold an art auction benefit and party for Talbott on Monday, April 30. It's organized by Patrick Godfrey, a former student of Talbott's and the owner of Velocity Comics. "He's an awesome guy," Godfrey says. "Things are looking up, but he's got this huge boulder of debt." 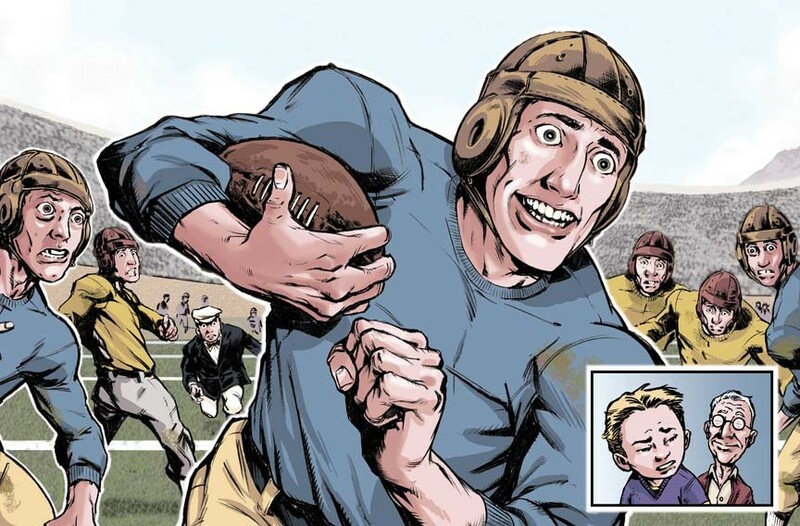 A page from the children's book, "The Day Roy Riegels Ran the Wrong Way," drawn by top area illustrator Kerry Talbott (above). An upcoming art auction will help Talbott pay his medical expenses. The auction includes pieces from James Callahan, Sterling Hundley, Ed Trask, Josh George, Tin Salamunic, Noah Scalin, Robert Meganck, Jesse Smith and others. Also included among the art is a new work by Talbott, emblazoned on a Velocity Comics T-shirt. The auction benefit and party for Kerry Talbott is April 30 at 7 p.m. at Ghostprint Gallery. Admission is $10. All proceeds benefit Kerry Talbott.